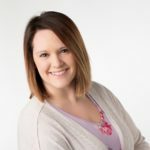 Prior to joining the Grief’s Journey team in May 2013, Rebecca provided economic development leadership in Nebraska City, NE and West Branch, IA — as the Executive Director of the Chambers of Commerce, tourism, and downtown development offices. 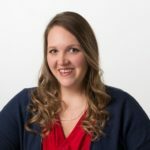 Earlier in her career, she served as a fundraising and program officer for the Iowa Women’s Foundation. She holds a bachelor’s degree from Grinnell College in Grinnell, Iowa and a master’s degree from St. Ambrose University in Davenport, Iowa. 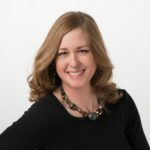 She was drawn to serve Grief’s Journey through personal experience and connection to the mission and also serves on the membership & education committee of the National Alliance for Grieving Children. Rebecca is a proud graduate of the Non-profit Executive Institute, the Omaha Community Foundation’s Capacity Building program, and TE2AM: Building Culture. She brings passions for organizational leadership, philanthropy, program development, and inter-agency collaboration. Valerie Height joined Grief’s Journey in December 2018. 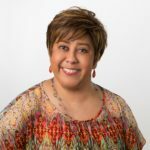 Valerie holds a Bachelor’s Degree in Social Work from the University of Nebraska at Kearney and a Master’s Degree in Social Work from the University of Nebraska at Omaha. A majority of her career has focused on work with the geriatric population with an emphasis in long term care and hospice. Valerie found her calling in the grief world when she served as the Bereavement Coordinator for a local hospice agency. It was during this time that her passion for supporting the bereaved and educating others on grief took flight. Her passion moved her to develop grief related programs such as a children’s camp, grief symposium, and the expansion of support groups. Valerie received various awards for her work in hospice, including the 2016 Nebraska Hospice Association- Shining STAR Award for Program Development. She has been deeply impacted by sudden and traumatic loss herself and strives to ensure that all individuals have a safe place for hope and healing in the midst of grief. Kelly’s introduction to Grief’s Journey was over a decade ago. She felt a deep personal connection to the mission based on her own experience with death and grief. Kelly has stayed involved in several ways throughout the years as: volunteer, ambassador, fundraiser, committee member and support group member. The majority of Kelly’s career has been in outside sales, marketing, and sales team management. Joining Grief’s Journey in this role in 2017 is a true calling for Kelly and fulfills her personal mission to help others along their path to hope and healing. She is ecstatic to be able to shine a light in the darkness. 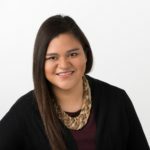 Gabriela Martinez joined the Grief’s Journey team in 2018 as the Outreach & Inclusion Coordinator. She earned her Bachelor in Social Work at Creighton University. For the past ten years, Gabby has been developing and leading programming to increase inclusion among Omaha’s most marginalized populations. From parenting classes for immigrant and Latino families to educational residential camps for high schoolers to national conferences for Fortune 500 companies, Gabby has been working to increase access to services and bring awareness to Diversity, Equity & Inclusion topics impacting our community. She is excited to use her talents and passions as the Outreach & Inclusion Coordinator to ensure that no one is left alone in their time of grief. Grief’s Journey has had a special place in Anica’s heart since 2009, when she was part of the first Young Adults Group (YAG). From the moment she first started receiving Grief’s Journey services and volunteering, she has been passionate about its mission. Anica brings over 10 years of customer service experience and is excited to be able to continue to use those skills here at Grief’s Journey. By becoming part of the staff, she feels she is finally doing what she is called to do. Anica is honored to be able to help support grieving families and let them know that no one has to walk this journey alone. 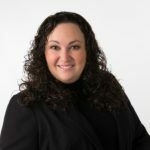 Tessa joined Grief’s Journey as the new Program Coordinator in February 2019. 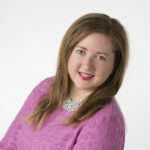 Tessa received her Bachelor’s degree in Multidisciplinary Studies with an emphasis in education, psychology, and gerontology from the University of Nebraska at Omaha. Before coming to Grief’s Journey, the majority of Tessa’s career included working with people with disabilities in various settings such as: recreational play therapy, job coaching, and volunteer work. Her true passion lies in helping others. She is happy she is able to continue that work at Grief’s Journey. She finds purpose supporting people who volunteer and enjoys program development. She looks forward to helping others find their passions as well. 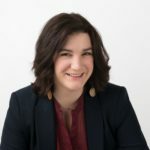 Tessa is more than excited to join Grief’s Journey and have the opportunity to work closely with families and individuals through their grieving and healing venture. Alex’s recent experience in losing a close loved one connected him to Grief Journey’s mission. His background in various nonprofits is attributed to his passion for human relations and development. 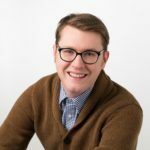 Alex received his Bachelor’s degree from the University of Nebraska-Lincoln and is currently pursuing his Master’s degree in Organizational Leadership from College of Saint Mary’s. Alex is a firm believer in the power of human connection and support and how it helps people overcome difficult life circumstances. He is excited for the opportunity to connect with surrounding communities and raising awareness for grieving support. Being touched by significant loss, Breanna is honored to be a part of the remarkable impact Grief’s Journey provides to bereaved families and individuals. Her background is diverse, including Bachelors of Science in Psychology and Neuroscience with a minor in Anthropology and will soon be completing her master’s in Sociology at the University of Nebraska at Omaha. Her multidisciplinary experience has awarded her with many lenses to see the commonalities inherent in humanity. Bertrand Russel said, “The good life is one inspired by love and driven by knowledge.” Love and knowledge have both inspired Bre and guided her to join the Grief’s Journey team in 2018 as Development Coordinator. Stephanie joined the Grief’s Journey team in August of 2013. She brings a background in medical reception and earned a degree in Community Health Education from the University of Nebraska at Omaha. She is also a mentor, co-founder of Disabled Women Support Group Luncheons, and Founder of a disability education group, Judged by the Cover. For six years Stephanie was a member of the Nebraska Statewide Independent Living Council. Passionate about giving back, Stephanie has donated her time to several nonprofits including the Arthritis Foundation, Multiple Sclerosis Society, Susan G. Komen and Girls, Inc. Stephanie feels blessed to have found an organization where she can freely express her ideas and sees a clear path for growth.